Everyone recognises that Crimea is one of the most beautiful and bountiful places in the world. Not for nothing has it been called «the blest land», «a paradise», «the throne of the Black Sea», «the Russian Holy Mount», «a precious jewel in the crown of the Russian Empire», «a Eurasian microcosm», «an unsinkable aircraft carrier». From time out of mind different peoples have settled it. It has always been a centre of resistance to, and rivalry with, diverse forces. Over the last thousand years, the history of Crimea has been inextricably linked to Holy Rus’, Muscovy, Russia and the USSR. The military, political and trade route «from the Varangians to the Greeks», which passed through Novgorod, Kiev and Chersonese before ending at Constantinople, connected the Baltic and Black Seas, and the Slavic and Greco-Byzantine civilisations. This route became the backbone of Russia’s living and expansion space, and led to the creation of a new Orthodox state, which proclaimed itself the heiress to the Byzantine Empire, like a third Rome. Why is it that Taurian Chersonese, not Kiev, is seen as the cradle of the Christianisation of Rus’? The reason is that Christ’s direct apostle Andrew (‘the First-called’), was preaching the word of God there, as early as during the 1st century AD. St. Clement (Pope Clement 1), the third bishop of Rome and founder of the first Christian communities in Crimea, was martyred there. In the early Middle Ages, the city was celebrated for its many saints and martyrs of Greek, Gothic and Scythian origin. The brothers Cyril and Methodius, considered equal to the apostles, arrived in Chersonese in 860 on their teaching mission; it was they who developed the basis of Slavonic literacy. It was here that the first Russian princes, Askold and Dir, accepted Christianity, along with their company. Lastly, it was Chersonese, in 988, that Prince Vladimir Svyatoslavovitch after his baptism wedded the Byzantine Princess Anna. In company with a priest – chronicler, he took books of liturgy as well as Orthodox relics from Chersonese to Kiev. The history of Kievan Rus’ would have been different without Chersonese. The Russian colonisation of Crimea, which began during the first campaigns against Constantinople, continued to develop during the Tmutarakan principality from the 10th to 12th centuries, on the territory of ancient Tamatarkha. Here, on the banks of the Cimmerian Bosphorus, one of the first Russian places of worship, a shrine to the Most Holy Virgin, was built. Nikon, the first of the chroniclers known to us, lived here; he was to become the abbot of the Kiev-Pechersk monastery. Here Boyan, the legendary teller of tales, sang epics to the accompaniment of his dulcimer. And on this place marched the forces of the prince of Novgorod-Severski, whose deed was celebrated in the inspired «Tale of Igor’s Campaign». At the beginning of the 13th century, the Tartar Horde seized the peninsula by force, cutting off the road from Rus’ to Constantinople. The military and political alliance with the Ottoman Empire had allowed the Muslims to hold the peninsula in their thrall for several centuries, and, at the same time, to alarm Rus’ with vicious predatory wars, which reached as far as Moscow itself. Suppression of the hordes, bringing them under the sway of the Orthodox Tsar’, and incorporating Crimea into the Russian state, were very intricate problems, the resolution of which did not begin in the reign of Catherine the Great, but as early as Ivan the Terrible’s time. True, the first Russian campaigns to the Black Sea were not entirely successful, but without the military experience of Prince Golytsin, without Peter the Great’s Azov campaigns, without the strategic plans of Anna Ioannovna of Russia and Elizabeth Petrovna of Russia, Prince Potemkin would have had no basis for his ambitions in Crimea. The absorption of Crimea into the Russian Empire was a progressive development for a number of reasons. Above all, it destroyed a focus of military threat for many Christian peoples: Greeks, Armenians, Goths, and Bulgarians. The Crimean Tartars were given the opportunity to shift from a nomadic way of life, based on warfare, to peaceful, constructive labour, but preserved themselves as an ethnic group. 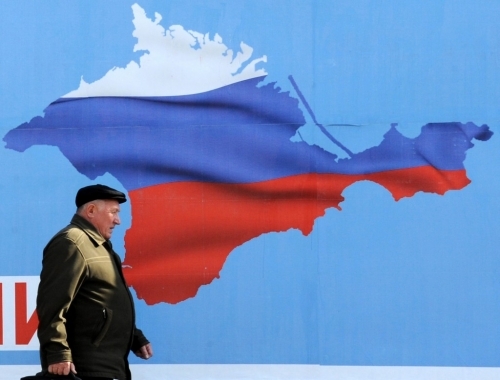 The rich economic potential of Crimea began to be realised on a larger, more diverse, scale. Scientists began to research all aspects of life and activity on the peninsula. It became part of enlightened European civilisation. Lastly, this valuable geopolitical acquisition facilitated the spread of the Orthodox Empire to the shores of the Black Sea and to the establishment of closer ties to Mediterranean and Western European countries, which, in turn, gave impetus to the development of Ukraine and Novorossiya. A new chapter opened in the life of the entire Eurasian region. The sacrament of marriage entered into by Rus’ and Byzantium under the veil of the Blessed Virgin made our fatherland the tabernacle of the Queen of Heaven, while the acquisition of Crimea led to the building of the new «Mount Athos (Holy Mountain)». Crimea became not only a popular Riviera, the best-loved holiday resort of the well-off, but a place of pilgrimage for simple Christians. During the Romanovs’ rule, many valuable works pertaining to our national culture were created here. Russia’s sortie on to the vast expanse of Black Sea significantly strengthened the international position of the Orthodox Empire. However, old Europe was watching the growth of its power with envious eyes. It always took advantage of any opportunity to weaken Russia’s position in Crimea, blowing political dissension up into bloody war. The blockade and merciless bombardment of Sebastopol in the years 1855-1856 are an instructive example. We must not forget the terrible price of our victories in Crimea. During the 18th century, the Russian army, during the Russo-Turkish wars, lost a total of over 250,000 men, including those killed outright, and those who died of injury and illness. Russia, in the 19th century, was obliged to wage four large-scale wars to retain and expand its possessions in the northern Black Sea coastal zone. According to specialists, Russia’s losses were no less than 450,000 men. About 600,000 more people perished in the defence and liberation of the peninsula during the Second World War. No accurate information is yet available on the casualties of the civil war during the revolutionary period at the start of the 20th century. In any event, the overall losses sustained in wars for the Crimea are of the order of 1.5 million people. There is a major monument to Russian military glory in Sevastopol – the Brotherhood Cemetery. It combines the graves of the first defence of the city and of the defenders of 1941 and 1942, as well as of the sailors from the battleship «Novorossiya», and the nuclear submarines «Komsomolets» and «Kursk». Here, in mass and personal graves, lie up to 50,000 warriors, which, as we have seen, is only a fraction of the cost in human life. The revolution turned into a social catastrophe and a terrible tragedy for the peninsula. In November 1920 alone, over 145,000 Russian refugees fled the Crimea by sea. During the Red Terror, the widespread hunger, the liquidation of the kulaks, persecution of the Cossacks and other repressions, hundreds of thousands of people lost their lives. Many places of worship were closed and destroyed, while the monasteries were converted into labour communes and stores. The estates of the aristocracy and of the rich were looted, and, if they were lucky, converted into public spas or recreation centres. However, thanks to the bravery of museum staff, some of the art treasures and libraries were saved and preserved. The Soviet government’s foreign policy in substance brought about the so-called «localisation» of the Tartars and Ukrainians living on the peninsula. Russians were temporarily in the minority. An attempt was made to create a Jewish Republic in Crimea. However, the attempts to wrest the former Taurian province from Russia ended in failure. In Stalin’s time, the Russian portion of the peninsula’s population began again to grow. Whereas in 1927 our compatriots made up 42% of Crimea’s population, in 1959 this figure had grown to 71.4%, and, by 2003, 79%. True enough, we should bear in mind that the deportation of persons of non-Slavonic origin between 1941 and 1944 no doubt had an effect on the sharp change in the statistical data. Also, many holders of Russian passports were Ukrainian by origin. The Russians were always the most educated section of Crimea’s population. Even in the days of Khrushchev’s recklessness, we were bringing spiritual and temporal enlightenment to other peoples. By the start of the 21st century, there were over 400 doctors habilitati, more than 2000 doctors, and more than 12,000 highly qualified specialists active in the fields of research and education. 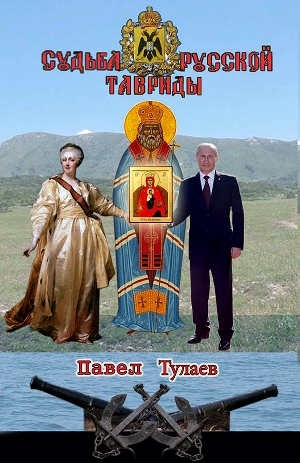 In the post-Soviet period, after long years of atheism and terror, the Christian faith began to re-vitalise the sacred land of Taurian Chersonese. The Orthodox cross began to shine with new glory over the Crimea, and the light of Christ enlightened us sinners, so that we might understand God’s Plan and lovingly carry it out. Ancient places of worship have been restored and new ones opened. Orthodox communities and brotherhoods are being created, and ecclesiastical newspapers and journals are being published. The awakening of an Orthodox and Slavonic movement has inspired the hope that the Russian Crimea will rise again under the flag of the apostle Andrew the First Called, which will bring together Christian, patriotic and naval traditions. The short-lived Ukrainisation of Crimea has not outwardly changed the familiar flow of religious, scientific, cultural and leisure and tourism aspects of life on the peninsula. It has but little effect on the peninsula’s economy. However, from a military and political point of view, Ukrainisation was a destructive process. Crimea, at the transition from the 20th to the 21st century, became an area of instability, the fault line in Eurasia’s defensive alliance. It will not be easy for Russia to develop under conditions of permanent aggression from the West, and its economic and political blockade. The West, however, is not the whole world. There is always the East, ancient, wise and powerful. There are the economically developed countries of Asia and other regions, with which Russia has strengthened its relations through such international structures as the Eurasian Economic Union (EAEU), the Shanghai Co-operation Organisation (SCO), the Collective Security Treaty Organisation (CSTO), the deliberative bodies of the BRICS countries (Brazil, Russia, India, China, and the Republic of South Africa), et cetera. Nor is our country a tiny state, it is a vigorous power, which has entered the 21st century with confidence. From a geopolitical point of view, 2014 saw the beginning of a new turn in the process of integrating the Russian regions. This is being complicated by Ukrainian nationalists, who keep ‘throwing spanners in the works’, by using ideological propaganda, and economic and political levers. In essence, Kiev is organising an all-out blockade of the peninsula. This cannot fail to cause problems of another sort. However, they are all temporary. All misapprehensions and technical difficulties can be sorted out as they arise, while the strategy of developing a Russian Crimea inspires hope for a better future. Despite the aspersions of the opponents of the reunification, the critics and the eternal complainers, the peninsula has begun to develop much more dynamically than before. This is reflected in radical economic and social reforms for the good of its citizens, the complete refurbishment of many buildings, the building of new roads, and the modernisation of education and the health service. As we can see, much progress has been possible despite all the blockades and sanctions. Even Western researchers recognise that life in Crimea is, on the whole, much better and more stable than in Ukraine. And, when the Kerch Bridge opens, things will be easier. Besides, the peninsula’s development should be considered in the light of events in the south- eastern regions of Ukraine, the past and present Novorossiya. The Northern Tauria has always had close ties to Crimea, while Donbas was, and still is, the most important industrial and energy centre in the southern region. The Russian Spring drew universal attention to the Crimea, which triggered new research into the blessed land. Books by A. Shirokorad, O. Greig, M. Korsun, A. Prokhanov, N. Starikov and other authors have been published. Previous scientific experience has been collected in the «The History of Crimea» monograph, brought out on the initiative of the Russian military history society. The National Committee for preservation the Republic of Crimea’s cultural heritage is hard at work under the supervision of military historian V. Zarubin, who co-ordinates his activity with the local government, cultural and social organisations, as well as with the Civic Chamber of the Russian Federation, which specialises in the very same subject. A list of facilities requiring additional attention and funding has been drawn up, on the basis of which the appropriate requisitions have been made. Vladimir Putin, who is constantly monitoring the course of events on the peninsula, has pointed out that separate funds are being allocated from the national budget not only for the construction of the Kerch Bridge, roads and power lines, but also for the restoration of monuments. «Crimea’s cultural objects are the heritage of all Russia, which has been accumulated over centuries, including Aivazovski, and Chekhov, and Kuprin, the flower of Russian culture, on whose works we have been educated for generations, and on which our children and grandchildren will also be educated», states our President. In this connection, it is fitting to recall that, in June 2016, the monument to Catherine the Great, destroyed in Soviet times, was triumphantly re-erected in Simferopol to mark Navy Day. The sculptors are Aleksandr Chekunov and Dmitri Startsev. A monument to General Vrangel’ was unveiled in September 2016 in Kerch, at the church of the apostle Andrew the First-called. It was created to the design of sculptor Andrew Klykov, the son and successor of outstanding sculptor and public figure Vyacheslav Mikhailovich Klykov. At a time when Crimeans, busy restoring their economy, infrastructure and cultural heritage, appealed for help to the government of fraternal Russia, the Ukrainians stepped up their informational counter-measures and received tangible assistance from the USA. More than 100 nationalistically inclined journalists and their electronic resources, such as «Crimea. The realities», «The Island», «Hromadske TV») received grants from the Soros Fund amounting to 500,000 dollars, which meant that the flow of ideological propaganda from Kiev intensified. To sum up generally the research we have conducted over many years, the following may be confidently asserted. There was no annexation in 2014. Holy Rus’, Orthodox Muscovy, the Russian Empire, and the USSR all had close ties with Tauride over many centuries. After the illegal, short-lived isolation of our compatriots from their Motherland, they went back home as soon as a real chance resented itself. The natural, completely lawful, long-awaited re-unification of a single nation took place, on the basis of a legal referendum. This was the restoration of historical justice, the triumph of Truth and Orthodoxy. A new chapter opened in the Destiny of the Russian people, a new stage of ethnic and religious re-birth. Hail the heroes! Eternal remembrance to the holy martyrs and innocent victims!